Home / Worth writing about… / All / Join us in hijacking Valentines Day! Join us in hijacking Valentines Day! 04 Feb Join us in hijacking Valentines Day! On Valentine’s Day we usually show our love by giving gifts to our beaus. But what about everyone else? 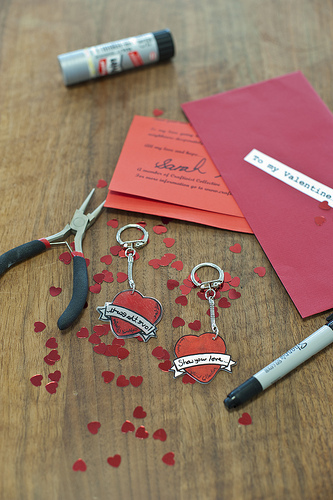 This year, why not show love to your global neighbour – and encourage others to do the same – with our Valentines Day craftivism project? The idea is to leave one or more of our Valentines cards around your local area, where they will be found by members of the general public. Each card contains an alternative Valentines message that acts as a friendly reminder of the difficult circumstances some of the world’s citizens are in, as well as a love heart sweet and a handmade keyring designed for Craftivist Collective by cult jewellers Tatty Devine, which should get people talking. Hand delivered to gaps in walls, cash machine slots, shop shelves etc, you don’t have to be in a relationship to receive one of these treasures! 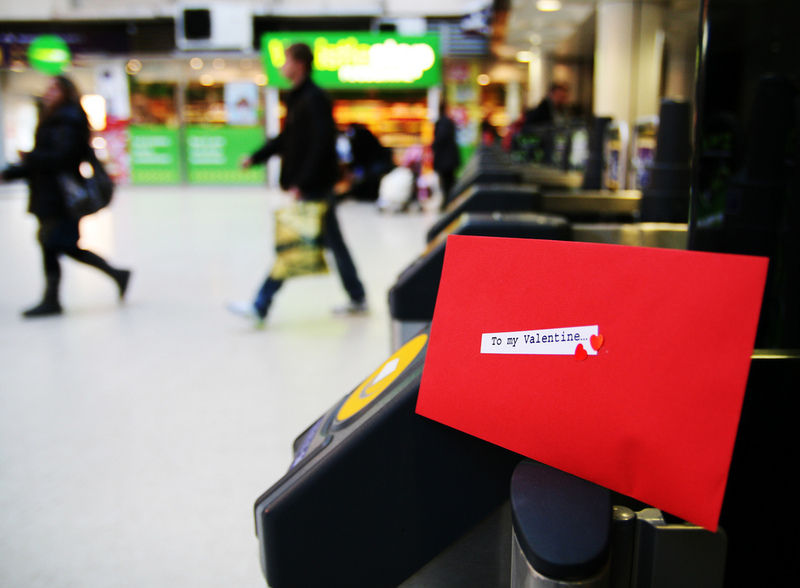 Over the last three years, craftivists have left more than 1000 of these alternative Valentines cards across the UK, from London to Liverpool, Cornwall to Coventry, and beyond (have a look at some of the photos here). We’ve even spread the love globally, with craftivists from America and Canada joining in too. Anyone can complete and deliver this project on their own or in a group. Check out our events page to see whether there’s a stitch-in near you, or why not organise your own? All you need to know can be found on our website, including the letter template, keyring design, video instructions and even a press release. This February, share your love near and far with the Craftivist Collective Valentines Day project, and help create change and facilitate conversations that will last a lot longer than your average bunch of roses or box of chocolates! Craftivist Collective is a social enterprise that relies on your support! If you enjoyed this blog post, please comment, share or repost. Do visit our shop too, where all profits support the work of Craftivist Collective. You can also donate via Paypal.